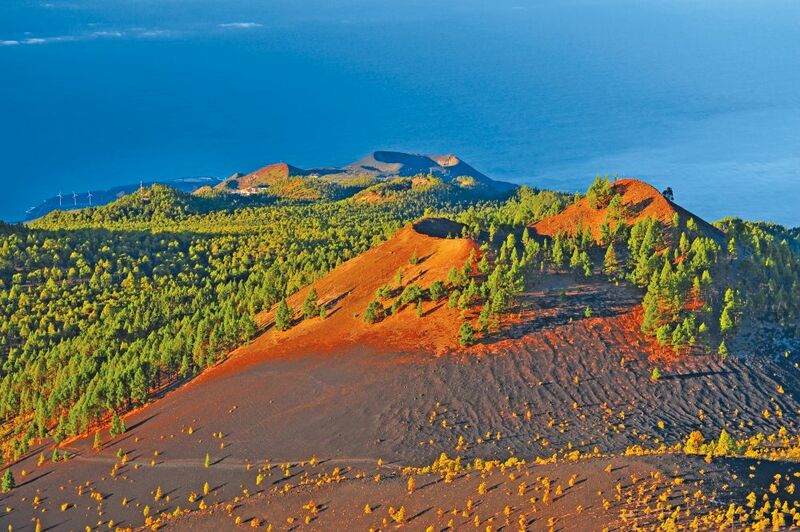 La Palma is one of the Canary Islands, Spanish islands off the north-west African coast. Its rugged and wooded land is dotted with volcanoes like the Teneguía and the Cumbre Vieja. The capital Santa Cruz de la Palma is a port characterized by narrow cobbled streets and houses with wooden balconies. The Parque Nacional Caldera de Taburiente presents an enormous formation in the shape of a crater, is covered in pine forests and crossed by waterfalls. Do you want to travel with your family to get to La Palma (Sta. Cruz)? Do you like adventure and freedom and you want to reach the destination La Palma (Sta. Cruz) with your moto ?